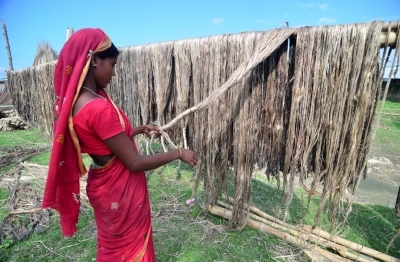 New Delhi, Feb 13 (IANS) The Cabinet Committee on Economic Affairs on Wednesday approved an increase in the Minimum Support Price (MSP) for raw jute by Rs 250 to Rs 3,950 per quintal for 2019-20 season. The new MSP would yield returns of 55.81 per cent over the production cost of fair average quality of raw jute, which the government said would ensure appropriate minimum prices to the farmers and step up investment in jute cultivation and thereby production and productivity in the country. The MSP of raw jute in 2018-19 was Rs 3,700 per quintal.